Activate your heart chakra! 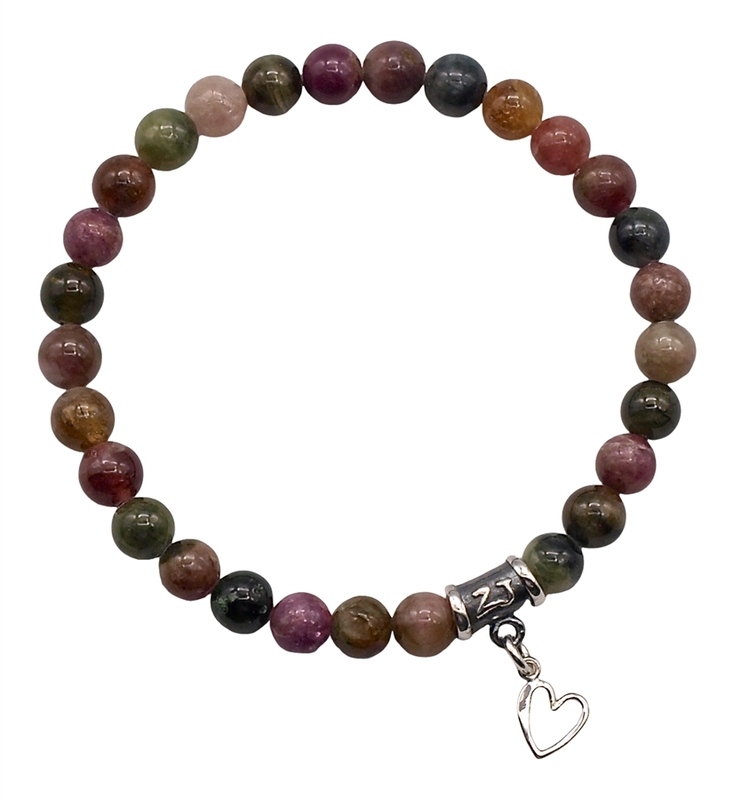 Invite Rainbow Tourmaline to fill you with love, joy, prosperity & many blessings. Watermelon Tourmaline has all of the properties of Tourmaline with the added bonus of its own. Watermelon Tourmaline is the "super-activator" of the heart chakra, linking it to the higher self and fostering love, tenderness and friendship. This crystal instills patience and teaches tact and diplomacy. Alleviating depression and fear, it promotes inner security. Watermelon Tourmaline assists understanding of situations and expressing intentions clearly. It treats emotional dysfunction and releases old pain. Watermelon Tourmaline is beneficial for relationships and helps to find the joy in situations. This is an important crystal for the heart chakra (chakra 4 - Anahata). It is time to count your blessings with this Watermelon Tourmaline bracelet!